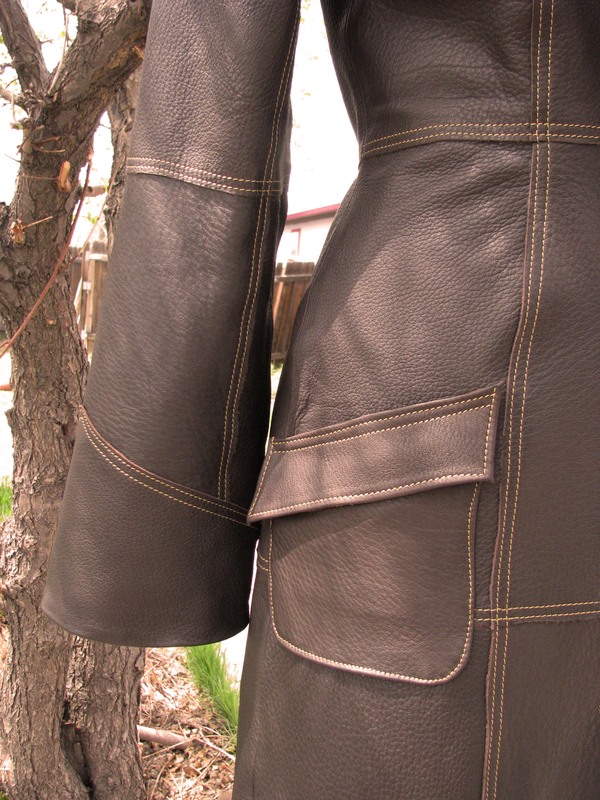 We make some of the most amazing custom coats and jackets that you can find anywhere. 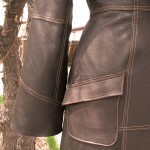 Every type of material, every style,—custom made to order. The pics show some of the favorite pieces that we have made recently. 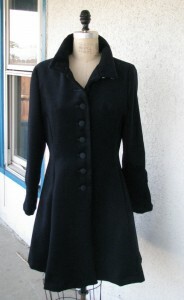 But we can really make anything you might like. 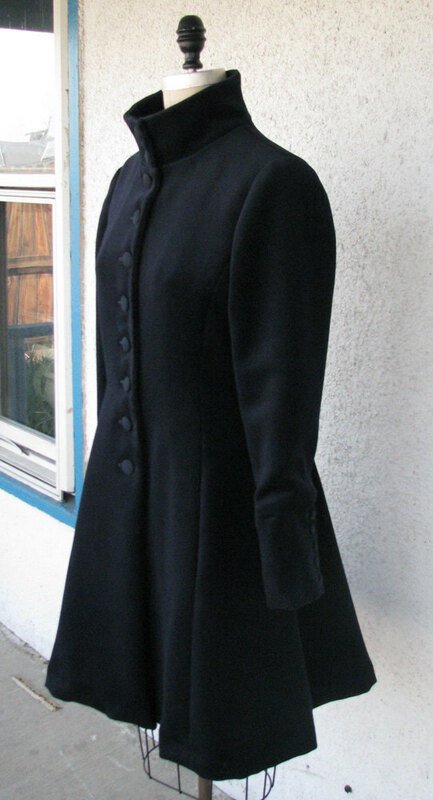 Our long flared Redingote coats are some of our most popular items and the pics show a few custom versions. 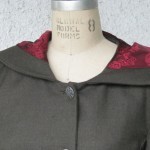 One in navy blue wool melton (a heavy felted wool), one in pale green embroidered linen, and one, with a hood, that is cut from a deep olive green worsted flannel and lined in scarlet paisley. 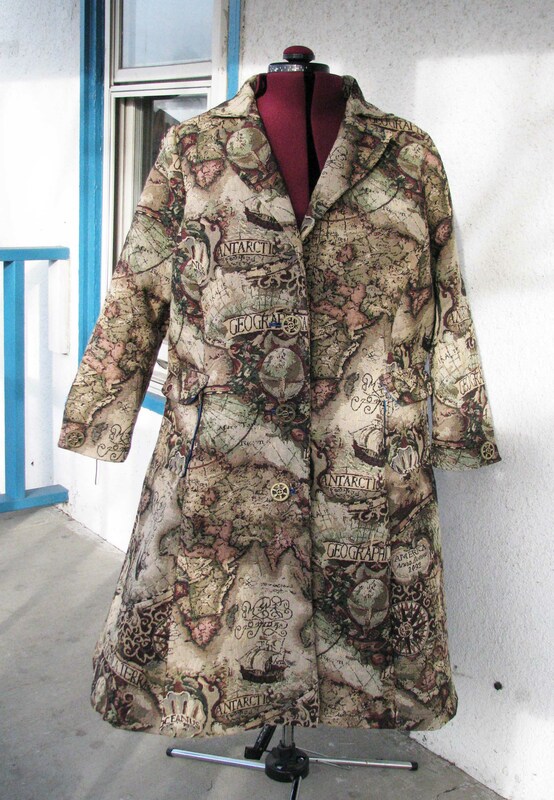 The steampunk map coat that is shown is made from a heavy tapestry brocade that has great body, and has gear buttons. This coat is shown in a plus size, but every coat that we make can be cut in larger (and smaller) sizes as well. 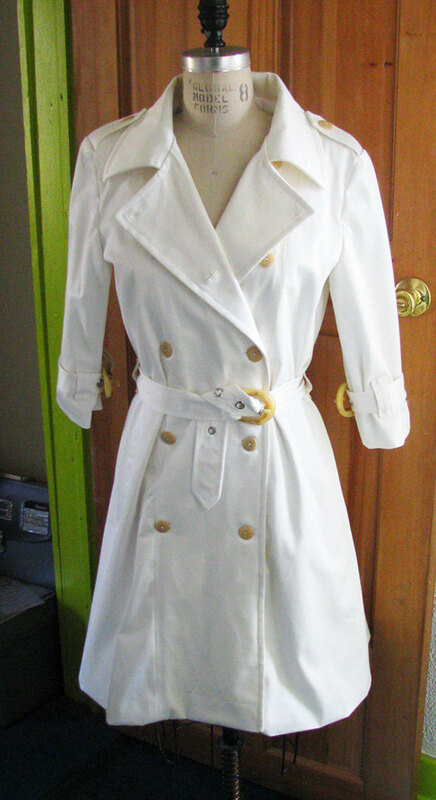 The ivory coat is a 3/4 sleeve cotton trench coat in spring weight cotton twill. 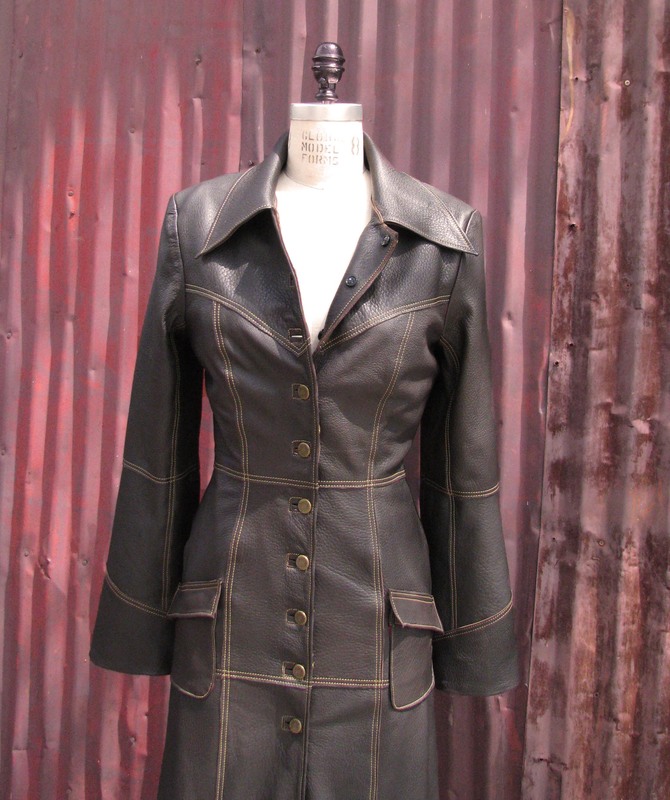 The remainder of the coats are some of our awesome leather jackets. The black coat is a motorcycle jacket that is cut from genuine shearling lambskin with a sueded exterior and classic salt and pepper fur inside. 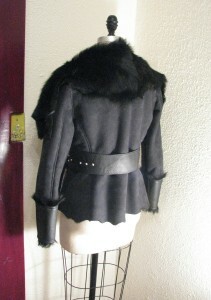 The collar is cut from longhair toscana sheepskin. 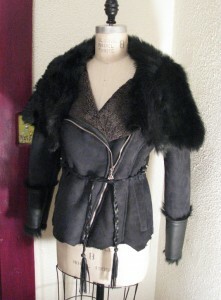 It is shown with a braided leather belt that we cut to go with the coat and decorated with metal studs. 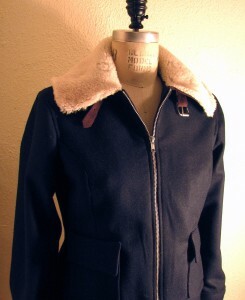 The coat is unique and shaped to match the raw edges of the hides. 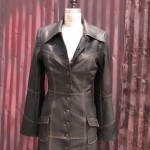 The deep rust color leather jacket is a custom safari jacket cut from beautiful suede with a leather belt. 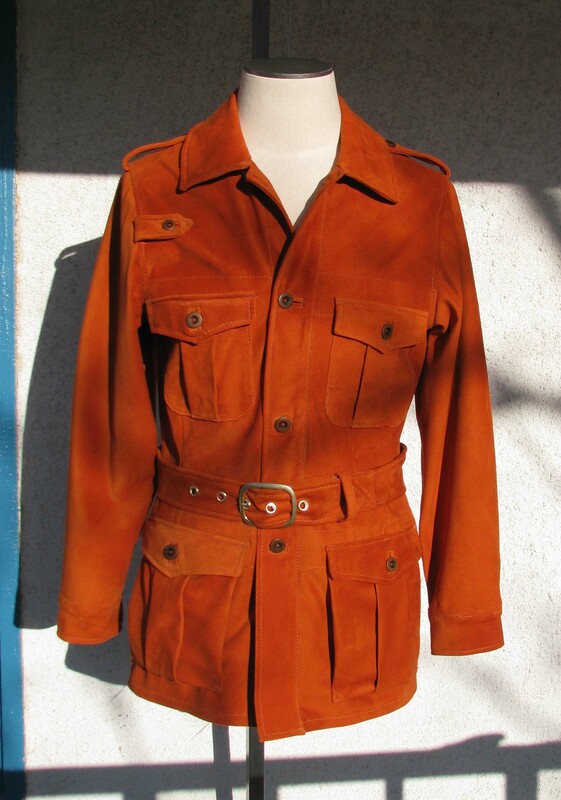 We can make safari jackets in wools and leathers in a multitude of colors and styles. 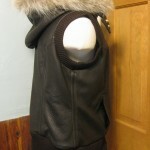 The reddish brown jacket is a bull hide motorcycle jacket with a shearling collar and trim. Shearing is wonderful as a collar, and the short navy zip up coat with a shearling collar was another of our favorite projects. 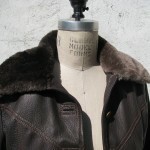 Finally the brown coat with a fur collar is one of our custom deerskin dusters. 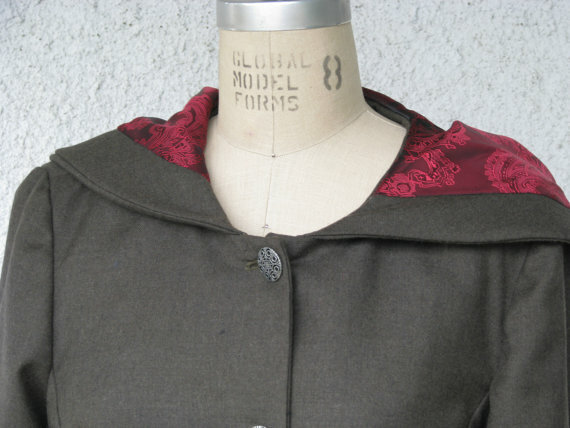 This one with a collar made from sheared beaver, rust stitching, and embossed Victorian-era copper buttons. 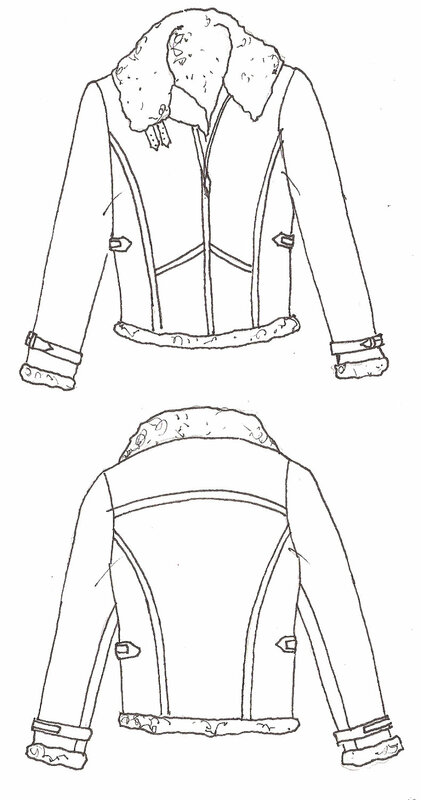 Mixed in are also a couple sketches so you can see how we work. Once you contact us, we will start designing something just for you, sending you sketches and leather or fabric ideas. 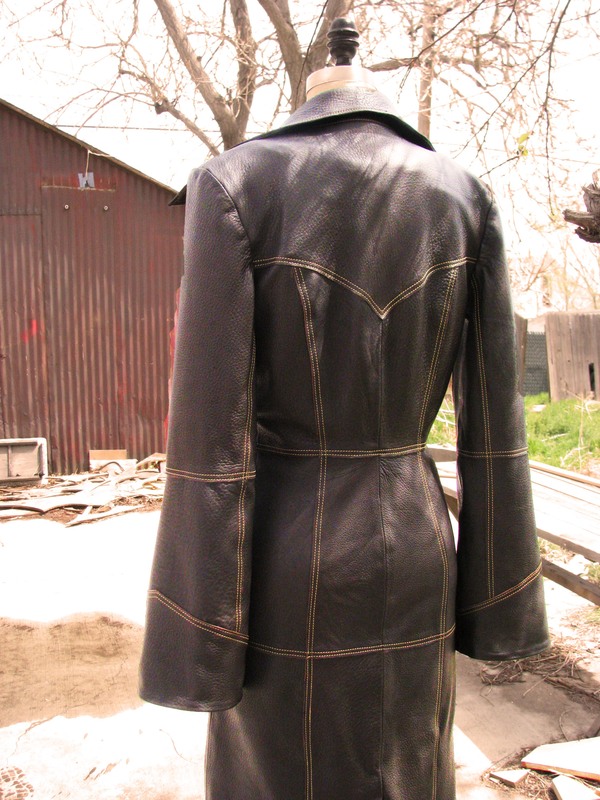 We make coats for customers all over the world, so if you aren’t in Denver, just let us know and we will send you measuring tapes and discuss ways in which we can completely guarantee a great fit. 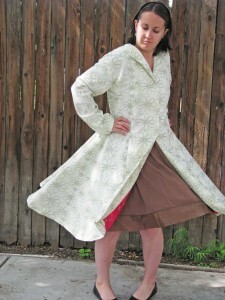 We are a small couture studio and everything that we make is made in our workshop here in Denver. 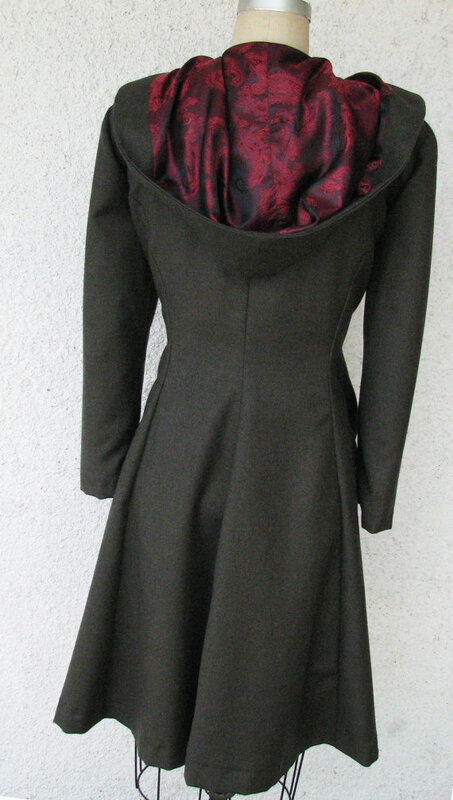 Because we handle everything from design, to patternmaking, cutting and sewing, we can make garments that are remarkable and unique and utilize many many techniques. To get started on a coat, just email Lianna K. (superhero@vigilantelabs.com). 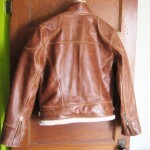 Deerskin is expensive! But when you can afford it, it is an amazing luxury. 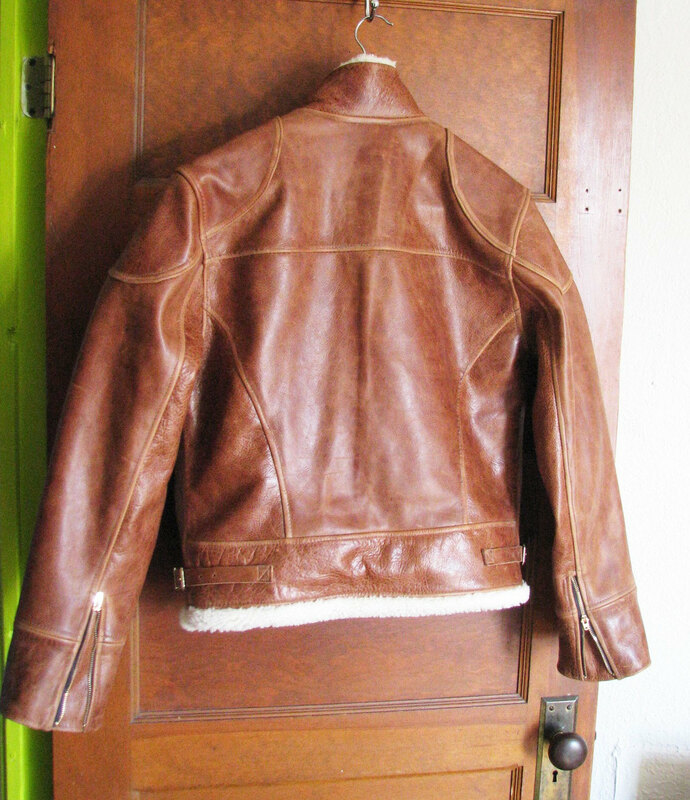 We always use the best materials for our jackets, whether we are making a jacket from faux-leather, lambskin, or cow hide. 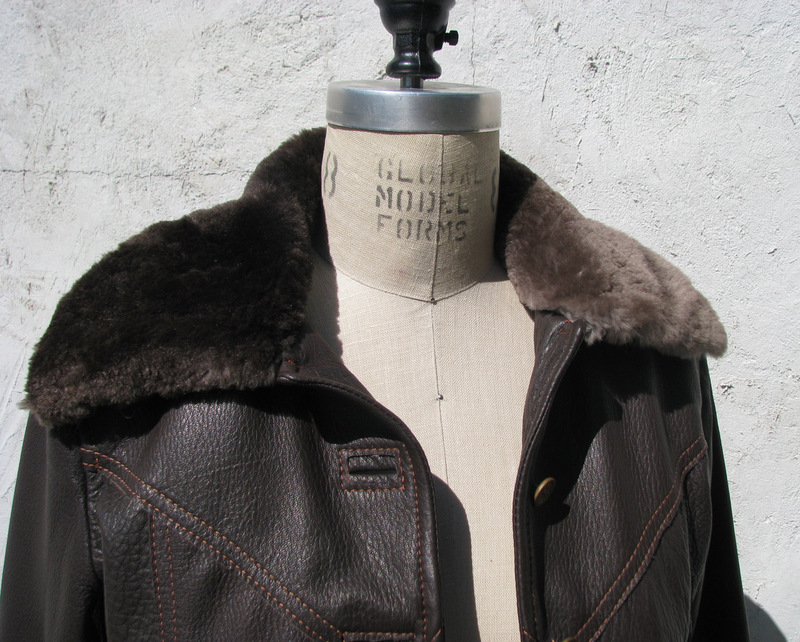 But nothing is softer to the hand than deerskin. It is thick and yet always feels moist and buttery. 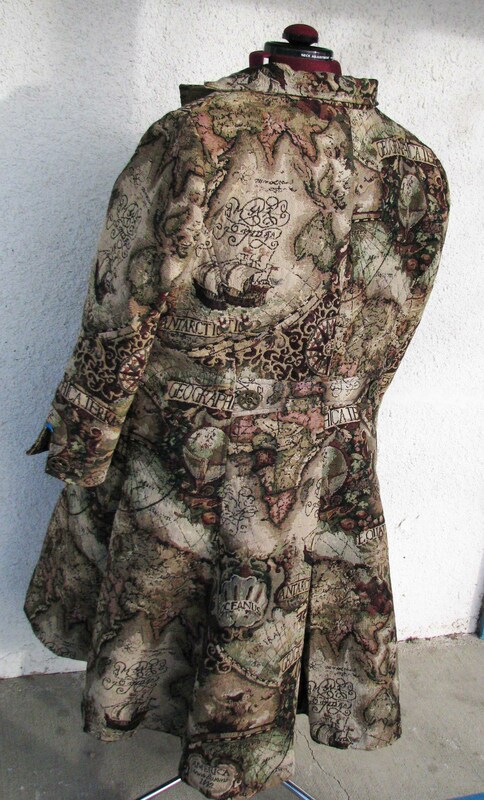 It drapes beautifully, and the texture is fascinating. 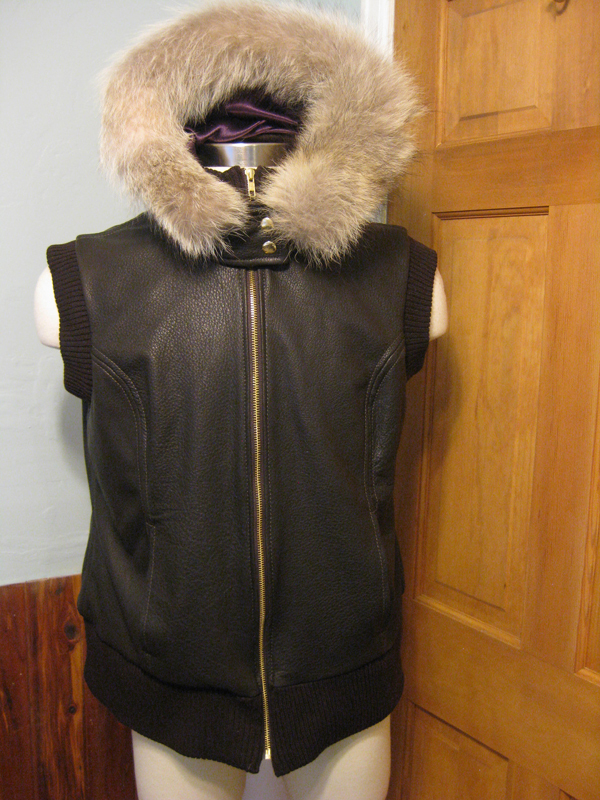 Here are two projects that we made from deerskin. 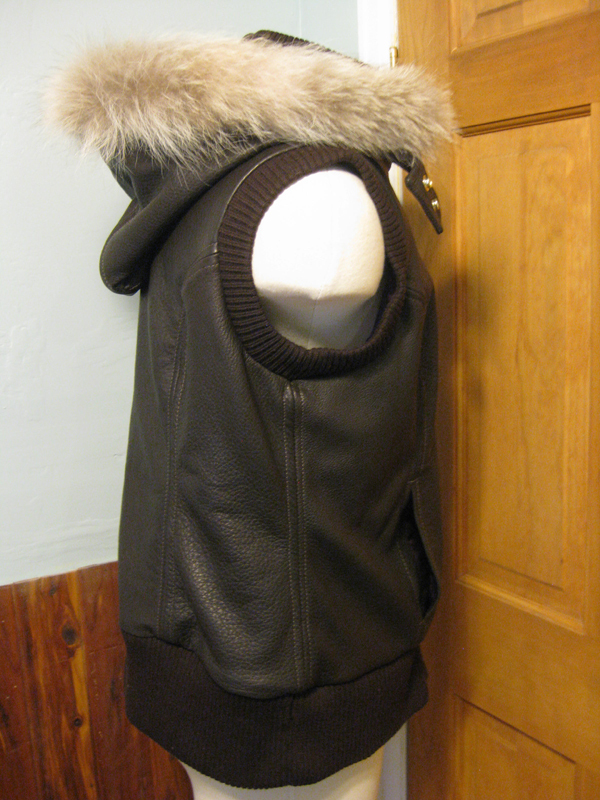 One is a full length duster and the other a vest with rib knit wool at the hems and coyote fur used as trimming around the hood. 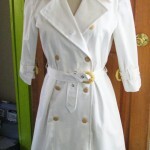 Then, when we have seen pictures of you wearing the muslin, we alter the pattern and cut a garment that is exactly shaped to your body and sense of style. 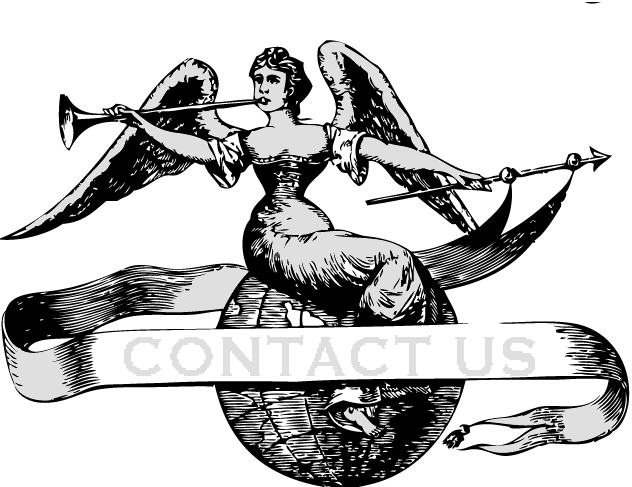 So contact us if you would like to discuss what we can do. 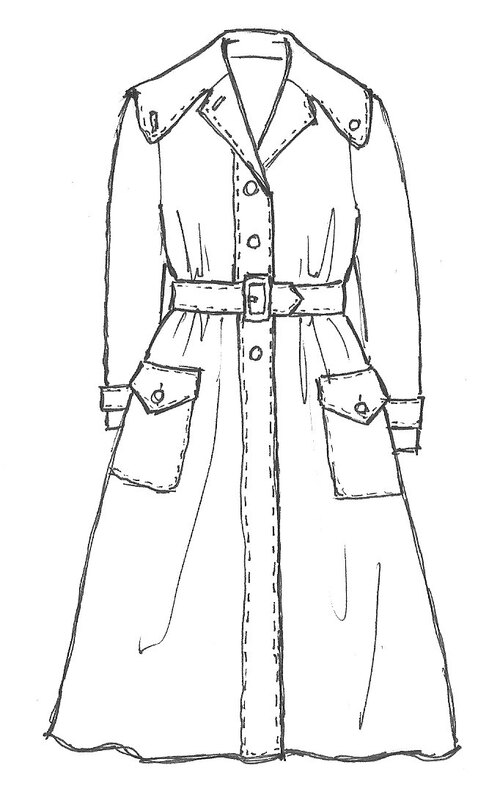 All of our projects include having us work with you to sketch up the perfect design and style. 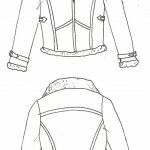 Just ask, and we will email a sketch! 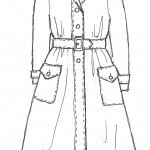 We can design something to exact specifications that you provide, or can sketch up multiple options if you just tell us a bit about you and your personal sense of style.